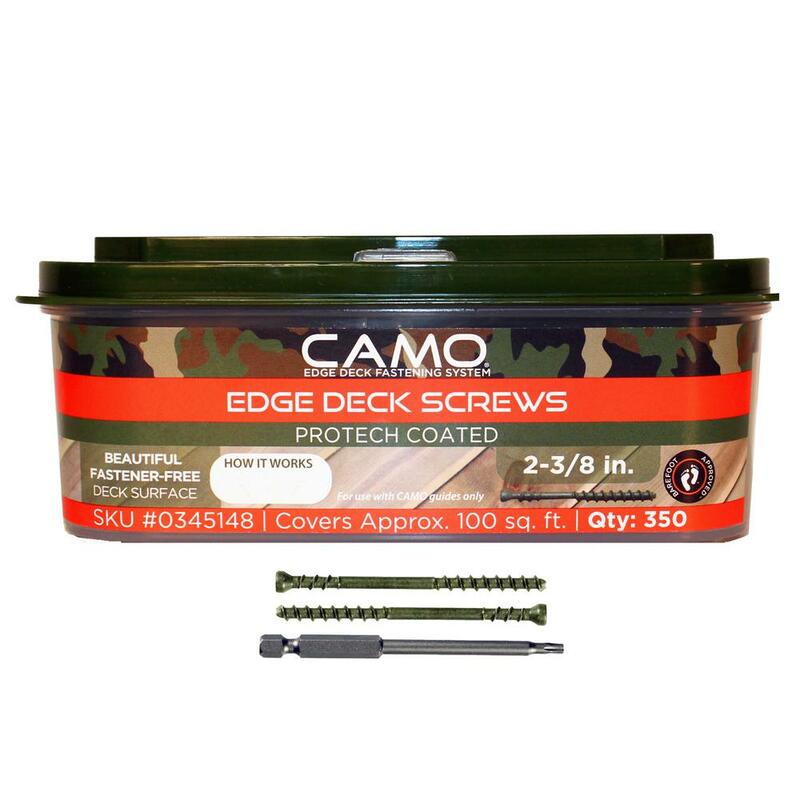 The CAMO Edge Deck Fastening System works on most treated lumber, hardwood, cedar, composite or PVC deckboard and of course Ipe. CAMO Edge Fasteners, a CAMO Marksman tool, and CAMO Driver Bits combine to deliver a fastener-free deck surface at a price that makes getting the job easy and installing the deck even easier. 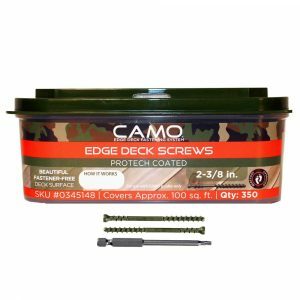 The CAMO Edge Deck Fastening System is engineered to work exclusively together. Using other branded tools, fasteners or bits will impair performance and won’t produce the desired results.